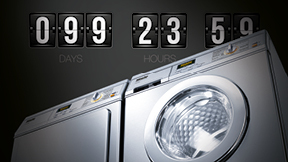 Are you faced with demands on laundry care which simply stretch a domestic appliance to the limit? Our Little Giants have been rising to these challenges with alacrity for many years, producing immaculate results. Convince yourself – at campaign prices. 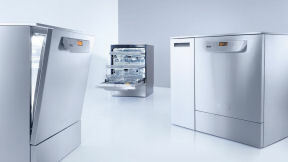 In conjunction with our detergent partner Ecolab we supply the initial bottles of chemicals for your equipment at no charge when purchasing one of Miele's PG85 lab washers with liquid dosing. The detergents will be carefully chosen and perfectly customised to the wash requirements of your specialised processes.